to grow every man into the man God has destined him to be. that every man will fall in love with God’s Word, that every man will hunger for godly character, that every man will reflect the love of Jesus in every relationship. 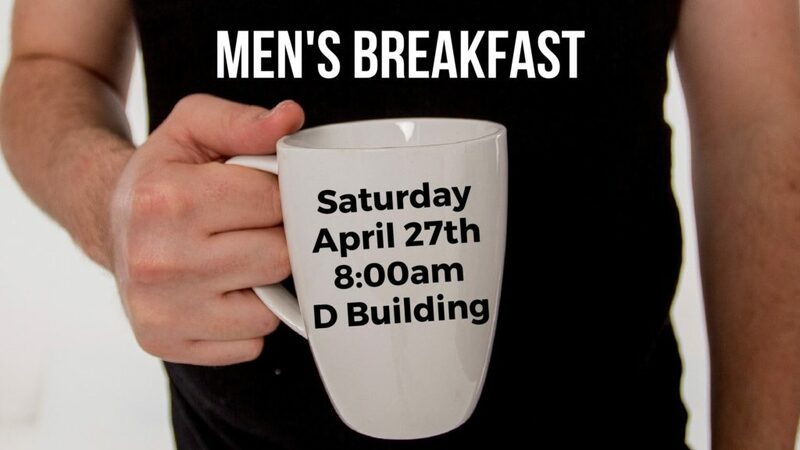 Our next breakfast will be Saturday, April 24th, beginning at 8:00 AM in D-Pod.